It’s official: the market is showing signs of a transition. What does that mean for you and your current real estate needs & goals? When times are changing it’s best to be prepared. Meet the team that is most equipped to handle these questions and best represent you in your real estate transactions. One, two, nearly three months down and 2019 is off and running! With the first quarter almost under our belts, the real estate market is off to its usual fast pace. Take note, there are some undeniable indicators that this year may be unlike the previous few in terms of how we are used to the market performing. While news outlets spit out headlines that can at times seem alarming, keep in mind Tampa residents, that not all market information is created equal. You see, real estate is done at a local level and while some other areas may experience slowing markets, the good news for Tampa is that we are still under the national median price for single family home sales, still have a growing economy and still have our beautiful weather, beaches and quality of life to keep us in a healthy place for real estate. To remain healthy, the real estate market seeks equilibrium as it follows the repetitive wave of expansion, peak, contraction and valley. The Tampa market is currently late in the expansion cycle with clear market indicators that we are entering a plateau. The market continues to rise, but at a slower pace than the recent past shown in year over year statistical studies. Many could feel anxious, and understandably so, at the thought of another trip to the top of the market cycle since many all too well remember the sudden decline which followed. Thankfully, Tampa can remain confident since market indicators point toward a gradual leveling of home prices cushioned by historically lower interest rates and an attractive marketplace for businesses. This year is predicted to be a strong one for real estate as we head down the healthy, expected path towards a balanced market. It is still a great time to buy and sell real estate in the Tampa Bay Area barring any unforeseen happenings outside of the financial or real estate realms. It’s true she has no crystal ball but Dee Strom will continue to keep a close eye on what’s happening, informing and updating clients as to what is to come. The Tampa Bay area has been in a seller’s market for so long that a new type of market can seem scary. But take heart, the term “balanced market” is not negative nor is it anything to be intimidated by, especially when entered in a timely manner. A balanced market is a healthy one where the buy side demand matches the seller side supply and there are positives for both sellers and buyers. First, there will be a greater inventory of homes on the market, meaning more homes for sale. A chief complaint among buyers in the past few years is that there have not been many homes to choose from. As more homes enter the market, it will encourage healthy competition between listings and will likely result in more room to negotiate in some cases. Second, homes listed in a balanced market are more likely to experience slightly longer market time. In December of 2018, 48% of the homes entering the market went under contract within the first 30 days or sooner. That’s a blazing fast pace and a clear indication of a market favoring sellers. Sellers placing homes for sale in a balanced market can expect to see slightly longer days on the market prior to getting a contract. For buyers this takes the frenzied pace out of purchasing, giving them more time to make comfortable, educated decisions. For sellers this simply means properly preparing their home for the market, a few more showings, but also the added benefit of getting the best offer. Multiple offers will be more of an occasional occurrence. Sellers should be prepared to list their homes at a realistic price and be mindful of competition. As in many areas of life, balance offers benefits and allows our market to continue on a healthy track. Tampa won’t land here immediately, but if the market continues on the current trajectory, this is what to expect next. 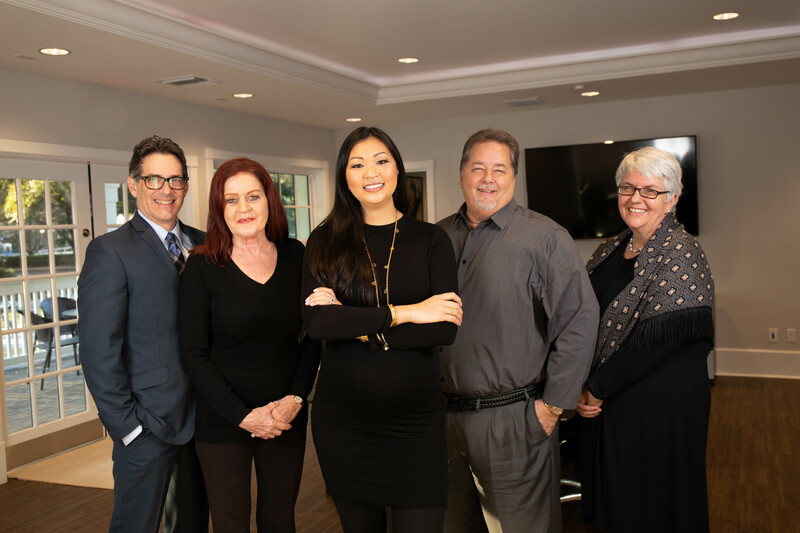 Steve Jobs once said “great things in business are never done by one person” and that can certainly be said about the wonderful people that surround Dee at Florida Executive Realty. She would like to introduce you to her team, whose main focus is her client’s best interests. Her Broker Doug Loyd founded Florida Executive Realty in 1992 in the New Tampa area with a desire to be the best real estate brokerage firm in the Tampa Bay area. He based his company and vision on the foundation of Matthew 7:12, the “Golden Rule” as being the best and most proper way to do business. Twenty-seven years later, he continues to lead and shepherd over 175 agents forward as leaders in technical & practical expertise, moral & ethical excellence, fair play & common sense, and in general being great people to do business with. As a testament to his leadership and expertise, he now has 6 offices throughout the Tampa Bay area, have just completed a 1,400 square feet office expansion, and closed over $460 million in sales in 2018 alone. His first employee and General Manager, Michelle Weinhold instructs, troubleshoots, and supports us with eyes on every transaction. Pat Cafferty, the Relocation Director connects and refers clients to the very best Realtors in the United States and in other countries to help them accomplish their real estate needs. Phil Clark of Enterprise Title is our Closing Officer who provides our clients a proactive start and smooth closing to our real estate transactions. Together, her team works to accomplish client goals and provide them with exceptional service throughout the real estate process and beyond. Proudly, 94% of business results from referral based sources and she continually strives to improve and expand her level of service. Dee has you covered in all areas of your real estate needs. Have an investment property? Florida Executive Property Services offers property management services to take the pain out of renting. Looking for a commercial property? She has area experts in this field to assist you. Looking for someone with the negotiation expertise to get the best price? Call this Certified Negotiation Expert who is trained in the intricacies of personality styles and the art of negotiation. Need agents with top notch HD photography and marketing presence? Dee hires expert real estate photographers, and markets your home to over 45,000 homes locally, on over 480 websites based in the United States and in over 70 countries globally. Moving to another area in state, out of state or overseas? No problem, she has you covered with a leading realtor in the area to take care of finding you that perfect home. Perhaps you’re renting and need to get out of a lease? Contact her about the lease eliminator program. Looking for a new home? Call this expert that specializes in the new construction market for our clients throughout the Tampa Bay Area. Don’t let those real estate dreams and goals you set for 2019 go unfulfilled. Buying or selling a home can seem like a daunting task, understandably. Let’s start with a simple conversation. Tell me what you’d like to do and I’ll get a plan in place & start on it as soon as you say go. It’s free and easy to get started, give me a call!